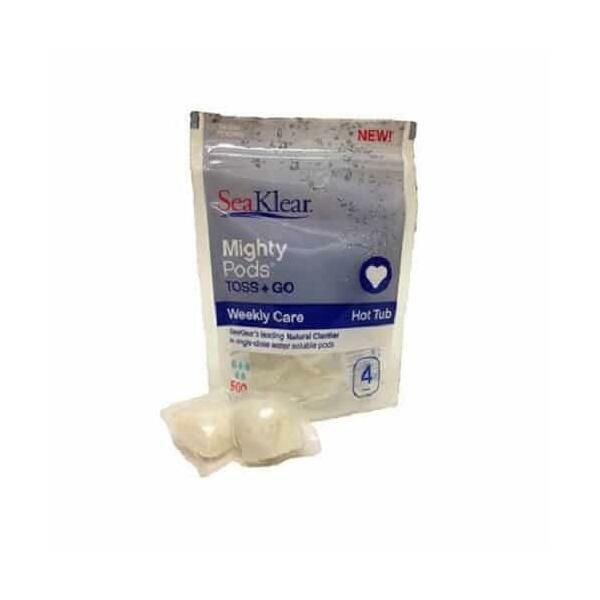 Mighty Pods by SeaKlear features a three-in-one formula that keeps water clean, removes phosphates and prevents buildup of scum with an enzyme cleaner. The pods can be tossed into the water and left to do their job. They should be used weekly for optimum results. The pods are pre-measured so there are no details, measurements or complications to tend to. 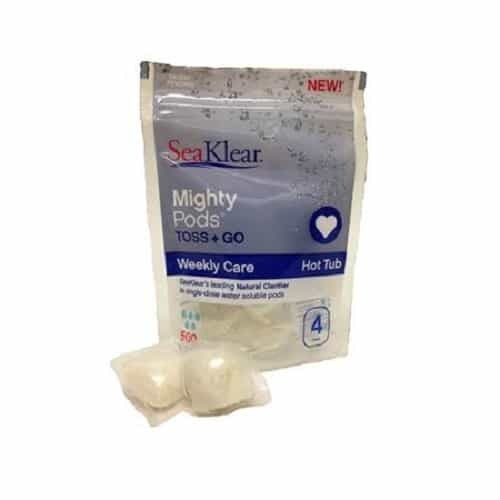 If time is a real commodity for you, and you're done with the regular maintenance frustration of some complicated spa chemical systems, adopt Mighty Pods Hot Tub Weekly Care from SeaKlear and HaloSource. Use this product after you use sanitizer, balancer and shock. Drop one pod per each 500 gallons of hot tub water.